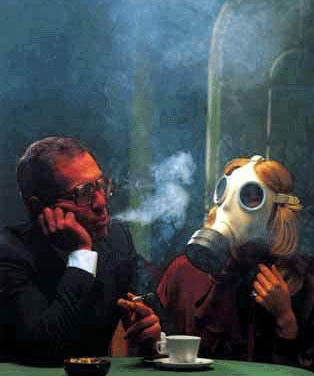 Second-hand smoke (SHS) is one of the most important and most widespread exposures in the indoor environment. The link between SHS and several health outcomes, such as respiratory infections, ischaemic heart disease, lung cancer and asthma have long been established. Nevertheless, 93% of the world population is still living in countries not covered by 100% smoke-free public health regulations, and exposure to SHS in the home is still common. This guide describes how to estimate the burden of disease caused by exposure to SHS on a national or local level. It summarizes the evidence linking SHS exposure to health, and the methods for estimating health impacts on a population basis. This is done in a practical step-by-step approach that can be adapted to local circumstances. The generated information can raise awareness and support decision-making on measures to protect the population from SHS. This method has also been applied to estimate the global burden of disease from SHS and results will soon be available. This guide is one in a series that describes how to estimate the burden of disease caused by environmental and occupational risk factors. An introductory volume to the series outlines the general method; subsequent volumes address methods for specific risk factors, such as outdoor air pollution, occupational noise or exposure to mercury. Posted in: Health, Passive Smoking, Study, WHO.